Welcome back to my trip down memory lane in the archives of my old Football Manager 2014 saves! In this series, I’m finishing what I started in my first successful-ish save and taking Leicester City FC back to the Premier League for the first time in over a decade! 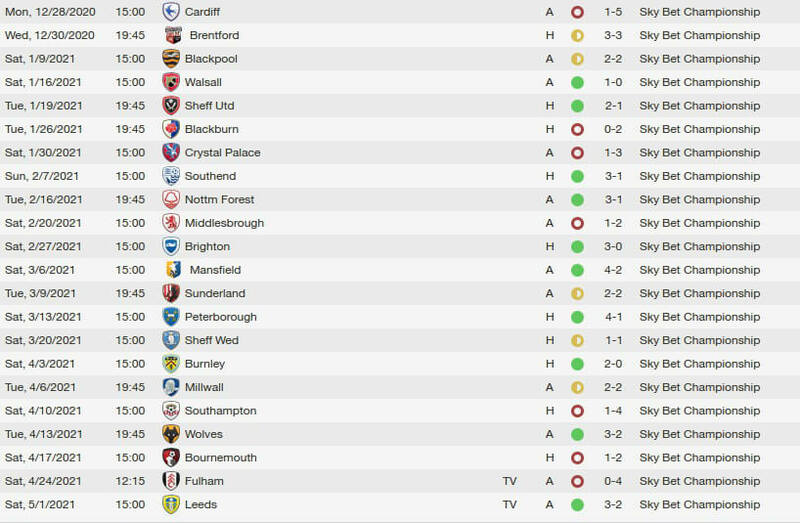 In this update, we’re going to go over the second half of the 2020-21 Championship season with Leicester and do a lot of complaining about one Calum Butcher, my new enemy at Leicester that needs to be fired. But, we’ll do one thing at a time and start with the team as a whole! If you’re new to this journey, click here to go back to part one and the 2013-14 season with Oxford United. If you want to brush up on the previous update, click here. As I said in the previous update, we were in a good place. We found a team that worked for the most part and using Oxford’s 4-2-3-1 tactic, we were holding second place by a slim margin, with the possibility of going to the Premier League looking very real to us, despite being previously rated to only be a mid-table team at best. These were our fixtures for the second half of the season. Some inopportune injuries to star players gave us a handful of draws, but it was really only the teams also in contention for a promotion that provided a true challenge, with us seeing losses to teams like Blackburn, Crystal Palace, and Fulham. 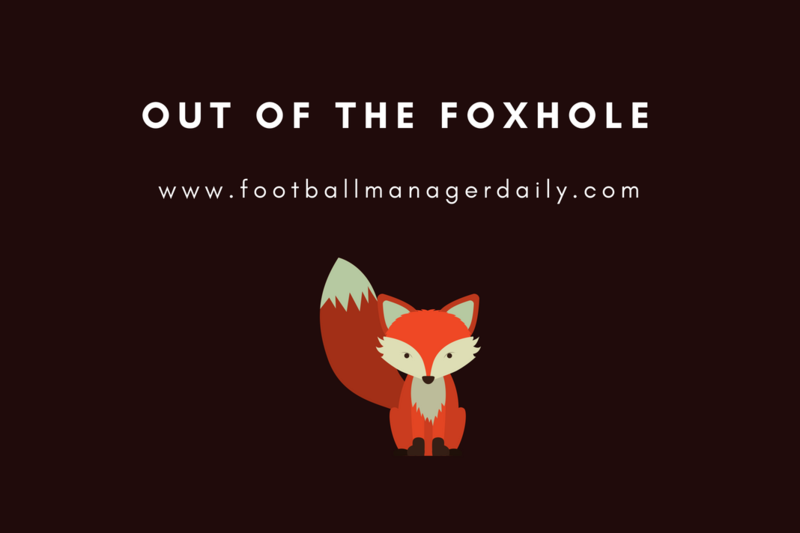 It’s hard to pick any particular highlight of the season because we were a surprisingly strong team for the pundits and myself, but there are definitely a couple of low-lights, like the heavy 0-4 loss to Fulham in our second to last game, but I’ll go into that some more later. This is a look at the league table for the end of the season. Crystal Palace finished in first with 91 points. We followed in second with 89, and Fulham rounded out the top three with 84. It was a close run for the last month of the season, and results could have easily been different for any of the top teams in the league. As you’ll see in the image, Cardiff ultimately won the playoffs, so Crystal Palace, Leicester, and Cardiff are stepping up to the top-flight to join England’s finest for the next season. This was the best eleven for the season. As a whole, I agree with it. As I went over in the last update, new players like James Muirhead, Sean McKenzie, and Curtis Rimmington were fantastic and reasonably consistent across the entire year, and despite sitting out a chunk of the end of the season on injury, Leicester product Iain Felgate was also fantastic in his role as a shadow striker. Lewis Grabban gets my vote for Player of the Year, as there wasn’t more than a couple of bad days for him during the course of the season. Regardless of whether he was on the left or right wing or up in a forward position, he still delivered results, as evident by his 19 goals for the season and a fantastic number of assists. Calum Butcher disappointed me, however. He was consistently poor, and especially after the last half of the season, I’m surprised that his rating wasn’t lower. There were a lot of times where he was starting not because I wanted him to, but because I couldn’t financially afford to replace him on the contract he was making at the time. He joined the team from Dundee United in the Scottish Premier League during the January 2020 transfer window before I arrived, and while he had results that made him look good on paper, he ultimately didn’t perform to my expectation when I put him into a starting position after an opening came up in the off-season. In fact, Calum Butcher’s shortcomings hindered our chance at winning it all, in my opinion! 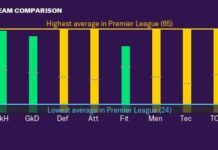 He was very regularly making mistakes as a central defender, despite being rated so highly for the role, and it was normal to see his rating in the low 6s or even in the 5s at the end of the match after he was subbed off. He’s got at least 4 own goals that I can remember off-hand over the course of the season, two of which came against Fulham in the 0-4 loss that prevented us from defeating Crystal Palace to win the league. After that display during a season of disappointments, I made the decision that he had played his last match in a Leicester City shirt. After fining Butcher a week of wages as is standard with ratings that finish in the 5s, I put him in the U18s where I could forget about him, despite knowing he’d never see match time as he was too old to play. I attempted during the off-season and all the way to the end of the summer window to offload him as deadweight, but nobody wanted to buy into his wage demands. Calum Butcher was totally happy to make £25.5k per week to sit around instead of play ball! When that failed, I instructed my Director of Football to find him a team with my asking price being £0 for the transfer, and that wasn’t working out either. The one deal I did find, the receiving team didn’t see him as deserving £25.5k p/w to play for them, and he had the nerve to say, after my making it clear to him that he’s dead to me, that he wasn’t willing to play for a lesser salary unless I paid him £7.5k p/w until his LCFC contract ran out in 2024. I laughed at him. I needed all of the available wage budget to focus on upgrades for the team, and while alleviating the cost on my bill by even a little would have helped, Butcher wasn’t even worth that much per week to me to play against me in the Premier League, and I ate his entire wage on the principle that he wouldn’t squeeze a penny from me for playing time, even if it was elsewhere. But that’s enough ranting for one update! 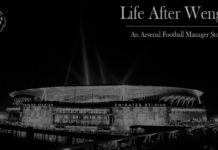 The important thing is we’re in the Premier League now, and in the next update, I’m going to be going over our off-season, the signings I made, and we’re going to look at the first couple of challenging Premier League results, focussing on our objective on surviving relegation. If you’re enjoying what’s happened so far, I hope you’ll still be around to see us get ready to fight for my end goal for the save and become a stable, successful Premier League team.